"We finally flew our first thermal camera flight yesterday afternoon. About 10 seconds after launch my co pilot looked at the screen and said something like, "We now have our very own predator drone""
sorry but your NAV lights are wrong war round, Green on the right and Red on the left. Again! It's not my bird. They better nuke the pigs. Hi, What is IR camera do you use? or is it a transformation of a black and white? @Yves in the article they say it is a Flir Tau 340, I think that with a bit of tweaking they could get much better quality from the camera. The problem is that it has a fixed focus and the "thermal gains" (level and span) could be adjusted. The daylight aerial damage survey flights alone make the project a success (gives shooters a good idea where piggy traffic comes from, and where to set up). 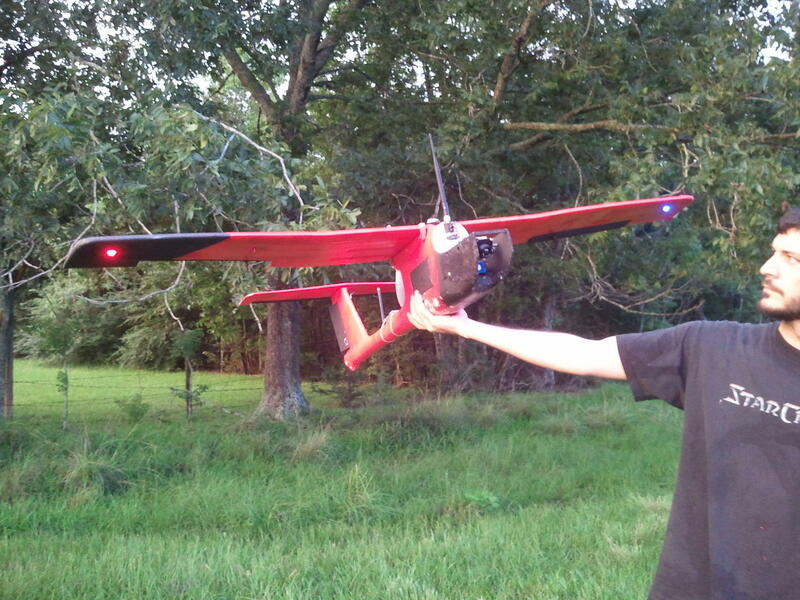 The addition of the FLIR & night flying is the icing on the cake! Thanks for linking to this, Hooks! Has anyone knowledge about the price of a FLIR Tau320 ?